Secrets & Lies, Janet King sold to Canada. 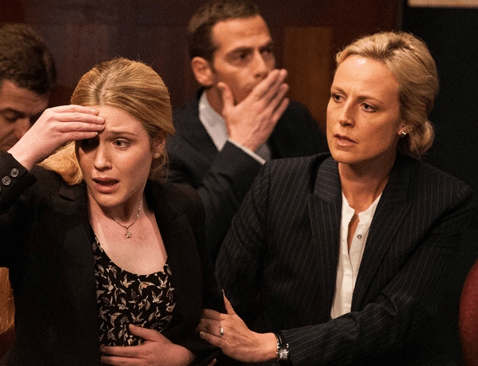 Two Australian dramas have been sold to Canada: Secrets and Lies and Janet King. The Hoodlum and Screentime dramas have been picked up by public broadcaster CBC, along with BBC thriller The Honourable Woman. The Hollywood Reporter notes the ‘cash-strapped’ broadcaster will add them to its primetime schedule as it looks to balance its books amid job and programming cuts to close a $US130 million budgetary shortfall. As previously reported Secrets and Lies is also getting an American remake, starring Ryan Phillippe and Juliette Lewis, which probably means both versions will run in Canada. it is quite ironic that secrets and lies will be on CBC. will prob do for them what it did for TEN. I am glad it has been picked up internationally tho.